Have time or the elements taken a noticeable toll on your skin’s elasticity? Are you ready to experience firmer, tighter, younger-looking skin? If so, laser skin rejuvenation may be the perfect solution for you. 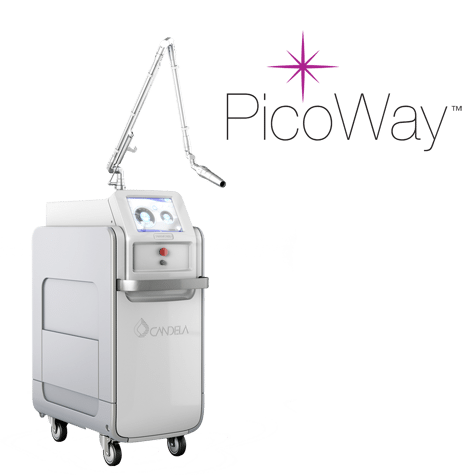 Our new PicoWay laser is an advanced laser solution for benign pigmentation such as freckles, age spots, lentigines, Nevus of Ota, Café-au-Lait and more. This breakthrough technology uses ultra-short picosecond (trillionths of a second) pulses to break down the pigment into the smallest particles, which triggers the body’s self-repair mechanisms. Treatments usually last 30-45 minutes for the face and longer if you include your hands and chest. Typical recovery time for most patients is only a few days. Best results are achieved through a series of six treatments, one time, every week for 2-4 weeks, followed by a regular maintenance program. A single treatment session lasts no longer than 30 minutes. The number of sessions in a treatment program will depend on the individual patient, but typically varies between 3-4 sessions, every 4-6 weeks.